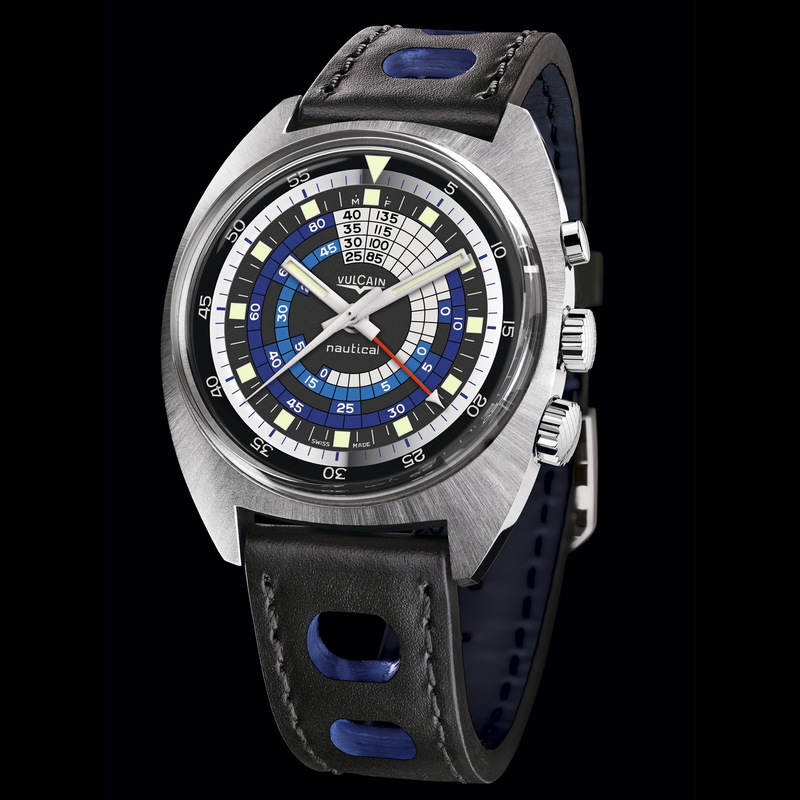 By TLex Vulcain have released a 100-piece BLUE edition of Nautical Cricket SEVENTIES LE for the 2013 ‘Vulcain Trophy’. The Vulcain Trophy is an annual competition composed of regattas reserved exclusively for Decision 35 multi-hulls. 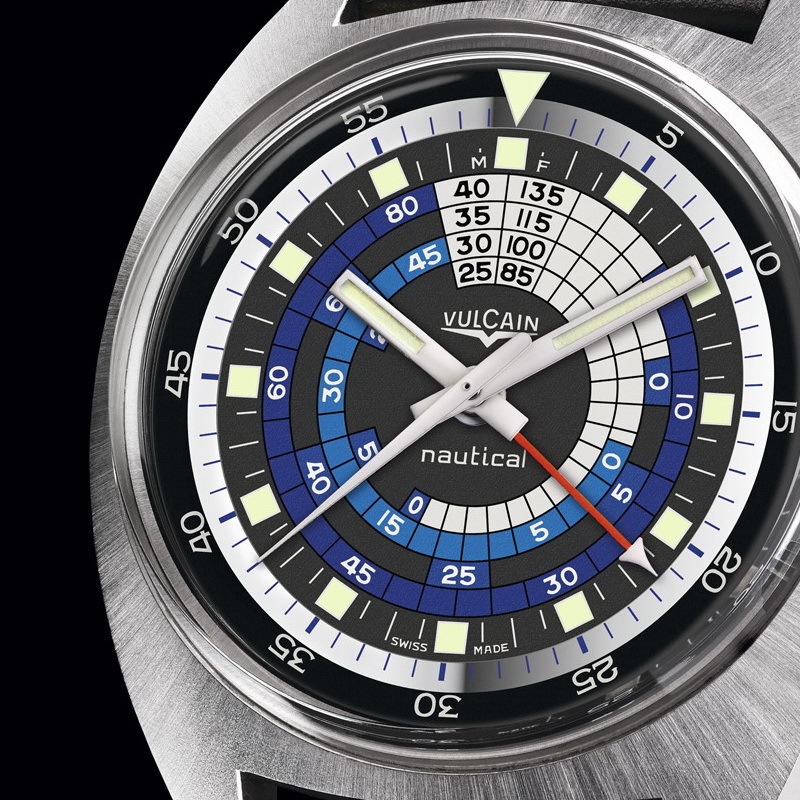 The Nautical Seventies Vulcain Trophy Limited Edition 2013 [Ref. 100159.082L] simply changes up the orange details of the first edition for blue. 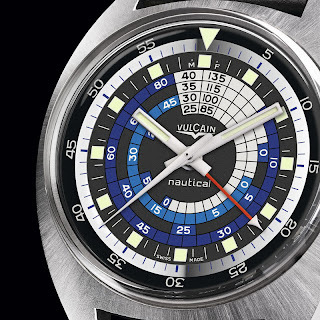 It is a faithful replica of the 1970s Vulcain Nautical model, which was the first divers watch to be equipped with an alarm movement that was audible underwater. 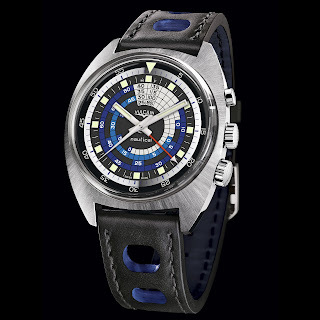 Divers features of the watch include: a water-resistance of 300 meters as indicated with successive decompression stops (in blue) on its dial and a 60-minute graduated rotational inner divers bezel, activated by a screw-locked crown at 4 o’clock. So, blue or orange? Both! Follow the link to discover the new Vulcain SUBNAUTICAL . . .